Effect of peptide assay library size and composition in targeted data-independent acquisition-MS analyses. Parker SJ, Venkatraman V, Van Eyk JE. Proteomics. 2016 Aug;16(15-16):2221-37. doi: 10.1002/pmic.201600007. Initial hyperinsulinemia and subsequent β-cell dysfunction is associated with elevated palmitate levels. Staaf, J., Ubhayasekera, S.J.K.A., Sargsyan, E., Chowdhury, A., Kristinsson, H., Manell, H., Bergquist, J., Forslund, A., Bergsten, P.(2016) Pediatric Research, 80 (2), pp. 267-274. Early signs of disease in type 1 diabetes. Moulder, R., Lahesmaa, R.(2016) Pediatric Diabetes, 17, pp. 43-48. Altered plasma levels of glucagon, GLP-1 and glicentin during OGTT in adolescents with obesity and type 2 diabetes. Manell, H., Staaf, J., Manukyan, L., Kristinsson, H., Cen, J., Stenlid, R., Ciba, I., Forslund, A., Bergsten, P. (2016) Journal of Clinical Endocrinology and Metabolism, 101 (4), pp. 1181-1189. Proteomic Biomarker Discovery in 1000 Human Plasma Samples with Mass Spectrometry. Cominetti, O., Núñez Galindo, A., Corthésy, J., Oller Moreno, S., Irincheeva, I., Valsesia, A., Astrup, A., Saris, W.H.M., Hager, J., Kussmann, M., Dayon, L. (2016) Journal of Proteome Research, 15 (2), pp. 389-399. 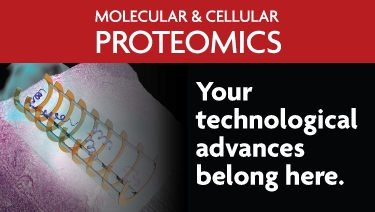 Label-free quantitation for clinical proteomics. Moulder, R., Goo, Y.A., Goodlett, D.R., Methods Mol Biol. 2016;1410:65-76. doi: 10.1007/978-1-4939-3524-6_4. Defining the proteome of human iris, ciliary body, retinal pigment epithelium, and choroid. Zhang P, Kirby D, Dufresne C, Chen Y, Turner R, Ferri S, Edward DP, Van Eyk JE, Semba RD. Proteomics. 2016 Apr;16(7):1146-53. 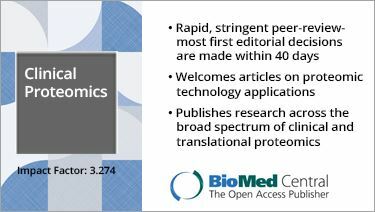 A comprehensive proteomics analysis of the human iris tissue: ready to embrace postgenomics precision medicine in ophthalmology? Murthy KR, Dammalli M, Pinto SM, Murthy KB, Nirujogi RS, Madugundu AK, Dey G, Subbannayya Y, Mishra UK, Nair B, Gowda H, Prasad TS. OMICS. 2016 Sep;20(9):510-9. Long-term metabolic correction of Wilson's disease in a murine model by gene therapy. Murillo O, Luqui DM, Gazquez C, Martinez-Espartosa D, Navarro-Blasco I, Monreal JI, Guembe L, Moreno-Cermeño A, Corrales FJ, Prieto J, Hernandez-Alcoceba R, Gonzalez-Aseguinolaza G. J Hepatol. 2016 Feb;64(2):419-26. Proteomic profiling of human plasma for cancer biomarker discovery, Proteomics. Huang Z, Ma L, Huang C, Li Q, Nice EC., 2016 Aug 23. doi: 10.1002/pmic.201600240. Dual targeting of p53 and c-MYC selectively eliminates leukaemic stem cells (2016). Abraham SA, Hopcroft LE, Carrick E, Drotar ME, Dunn K, Williamson AJ, Korfi K, Baquero P, Park LE, Scott MT, Pellicano F, Pierce A, Copland M, Nourse C, Grimmond SM, Vetrie D, Whetton AD, Holyoake TL. Nature 534(7607):341-6. C11orf83, a mitochondrial cardiolipin-binding protein involved in bc1 complex assembly and super complex stabilization. Mol Cell Biol. Desmurs M, Foti M, Raemy E, Vaz FM, Martinou JC, Bairoch A, Lane L. 2015 Apr;35(7):1139-56. doi: 10.1128/MCB.01047-14. Epub 2015 Jan 20. PubMed PMID: 25605331; PubMed Central PMCID: PMC4355537. Prioritizing Proteomics Assay Development for Clinical Translation. Lam MP, Venkatraman V, Cao Q, Wang D, Dincer TU, Lau E, Su AI, Xing Y, Ge J, Ping P, Van Eyk JE. 2015 Jul 14;66(2):202-4. doi: 10.1016/j.jacc.2015.04.072. Priorities and trends in the study of proteins in eye research, 1924-2014. Semba RD, Lam M, Sun K, Zhang P, Schaumberg DA, Ferucci L, Ping P, Van Eyke JE. 2015 Dec;9(11-12):1105-22. doi: 10.1002/prca.201500006. Epub 2015 Sep 16. Citrullination of myofilament proteins in heart failure. Fert-Bober J, Giles JT, Holewinski RJ, Kirk JA, Uhriqshardt H, Crowgey EL, Andrade F, Bingham CO, Park JK, Hallushka MK, KAss DA, Bathon JM, Van Eyke JE. 2015 Nov 1;108(2):232-42. doi: 10.1093/cvr/cvv185. Epub 2015 Jun 25. Quantification of total apolipoprotein E and its specific isoforms in cerebrospinal fluid and blood in Alzheimer’s disease and other neurodegenerative diseases. Rezeli M, Zetterberg H, Blennow K, Brinkmalm A, Laurell T, Hansson O, Marko-Varga G.EuPA Open Proteomics 2015, 8:137-143. C2orf62 and TTC17 Are Involved in Actin Organization and Ciliogenesis in Zebrafish and Human. Bontems F, Fish RJ, Borlat I, Lembo F, Chocu S, Chalmel F, Borg JP, Pineau C, Neerman-Arbez M, Bairoch A, Lane L. 2014 Jan 27;9(1):e86476. doi: 10.1371/journal.pone.0086476. eCollection 2014. PubMed PMID:24475127; PubMed Central PMCID: PMC3903541. Functional identification of APIP as human mtnB, a key enzyme in the methionine salvage pathway. Mary C, Duek P, Salleron L, Tienz P, Bumann D, Bairoch A, Lane L.PLoS One. 2012;7(12):e52877. doi: 10.1371/journal.pone.0052877. Epub 2012 Dec 28. PubMed PMID: 23285211; PubMed Central PMCID: PMC3532061. 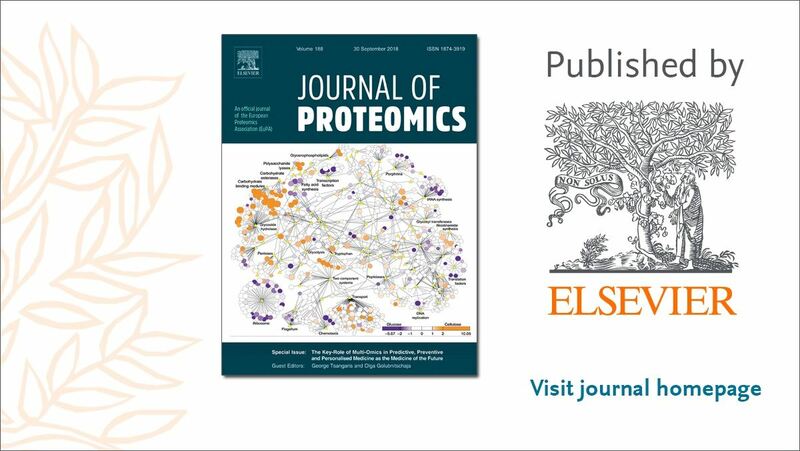 Is a gene-centric human proteome project the best way for proteomics to serve biology?- Rabilloud, T., Hochstrasser, D. and Simpson, R. J. (2010), PROTEOMICS, 10: 3067. doi: 10.1002/pmic.201000220 . Building the 'practical' human proteome project - the next big thing in basic and clinical proteomics" - Curr Opin Mol Ther. 2009 Dec;11(6):600-2.